The United Koreans of Japan are a team that represent Zainichi Koreans – that is people of Korean descent who live in Japan. The word ‘Zainichi’ is a Japanese word that means ‘to stay in Japan’ and can refer to any foreign resident living in Japan. Most often ‘Zainichi Korean’ refers to Koreans in Japan who trace their roots to Korea under Japanese rule (before 1945) or their descendents. When Korea was under Japanese rule, it was a unified country called Joseon. Many Zainichi Koreans have retained their Joseon, or North/South Korean nationalities. There are a around 850,000 resident Koreans in Japan. Korea in the middle ages was a very insular country. Europeans often referred to it as the Hermit Kingdom as so few people went there or know much about it. They only had diplomatic relations with China and Japan, and traded only with China. As a response to the rising fashion among the European powers for Imperialism, Japan started an empire of its own. In 1876, they used veiled threats and military might to force Korea to sign the first of many unequal treaties, effectively giving Japan extraterritorial control over Korea, before annexing Korea in 1910. All Koreans became citizens of the Japanese Empire. There was a dearth of jobs in Korea, and a wealth of jobs in Japan. Over the next couple of decades, many Koreans emigrated to Japan in search of better fortunes, but were met with open discrimination. During World War 2, 5.5 million Koreans were conscripted into the Japanese army, many of whom went to the mainland of Japan to work in factories. When the war ended, the Japanese occupation of Korea came to an end. There were around 2 million Koreans in Japan at the time who were no longer citizens of the Japanese Empire and were treated as foreigners. Many of them went home to Korea, although the uncertain political situation on the Korean peninsula meant many stayed. They were registered in Japan as Joseon nationals – the old name for the undivided Korea. 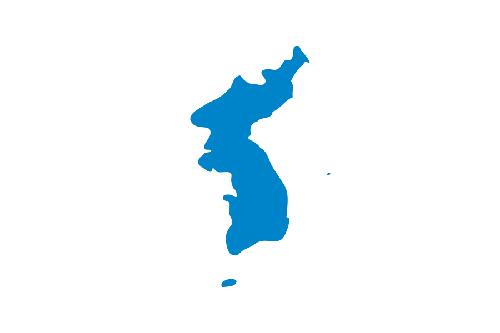 When North Korea and South Korea separately declared independence, Joseon no longer existed. Many Koreans decided to repatriate; initially, North Korea was the more popular destination for returning Koreans due to the rapid development of the country in the late 50s and early 60s, even though nearly all of the Zainichi Koreans were from South Korea. In 1965, Japan recognised the South Korean government as the only legitimate government of the Korean peninsula, and numbers of repatriations to the North dropped sharply as stories about the difficulties encountered there started to circulate. Zainichi Koreans today live in a bit of a limbo. They are considered outsiders in Japan and in Korea. Many have become Japanese citizens and some of those have taken Japanese names as well. Others have kept their name and their Korean citizenship, and can still face discrimination in the job market as they are ‘foreign’, despite having never lived anywhere else. In the fifth tier of the Japanese football pyramid sits a team called FC Korea, a team whose players all have Korean heritage, though some are naturalised Japanese citizens. People involved with the club set up the United Koreans of Japan National Football, so they’d have a football team of their own to support in international competition. The team was founded in 2015 and took part in the 2016 ConIFA World Football Cup, where they lost on penalties in the quarter finals. The bookies have them down as possible champions though, giving them the same odds as current champions as Abkhazia and double European champions Padania.